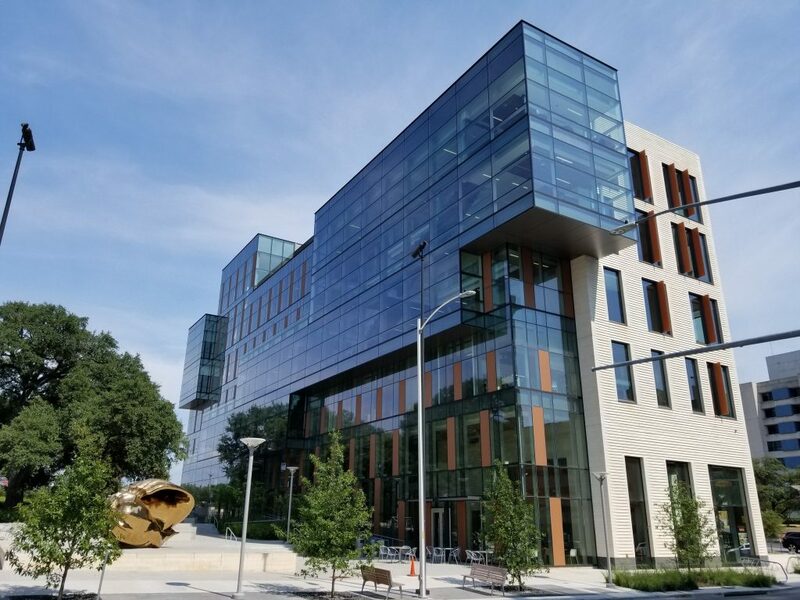 The University of Texas at Austin is the first tier-one public university in the United States to build a new medical school from the ground up in almost 50 years. 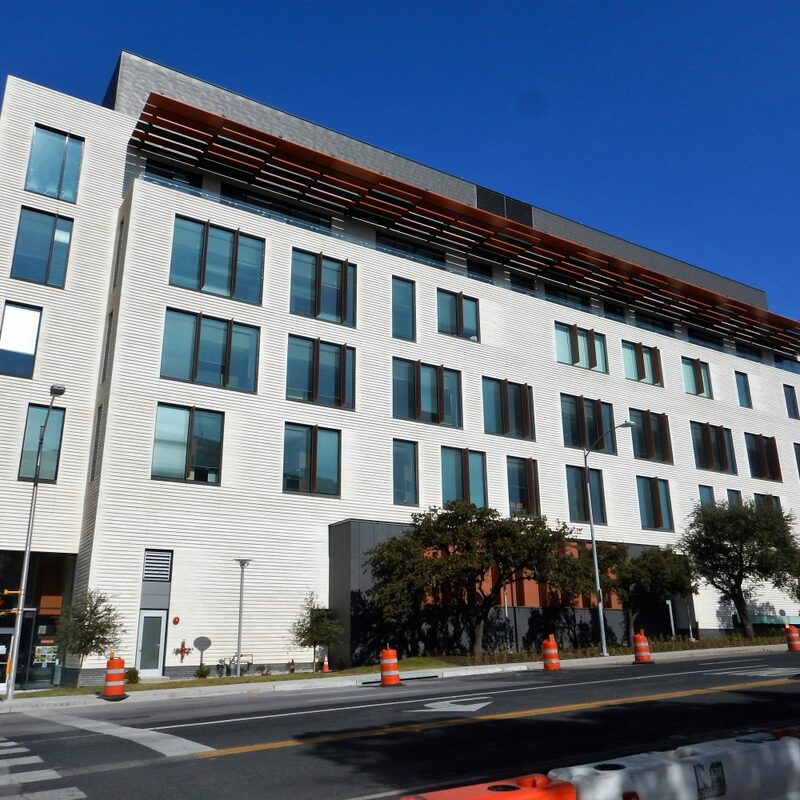 The medical school is transforming the way people get and stay healthy, catapulting Austin into a model healthy city. 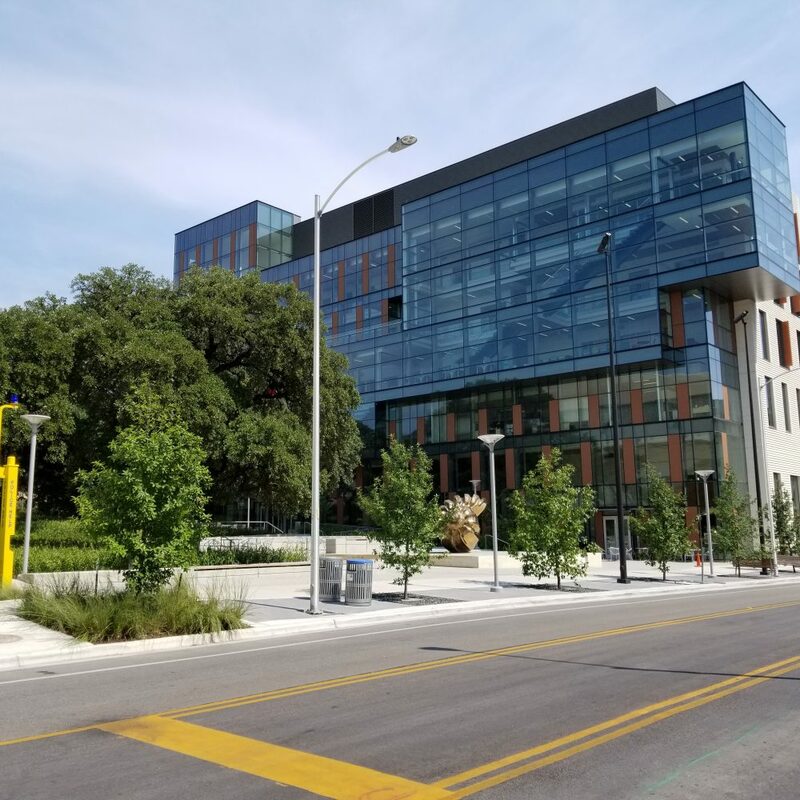 The $334 million project includes the Health Learning Building (85,000-square-feet), Health Transformation Building (233,000-square-feet), and Health Discovery Building (260,000-square-feet). 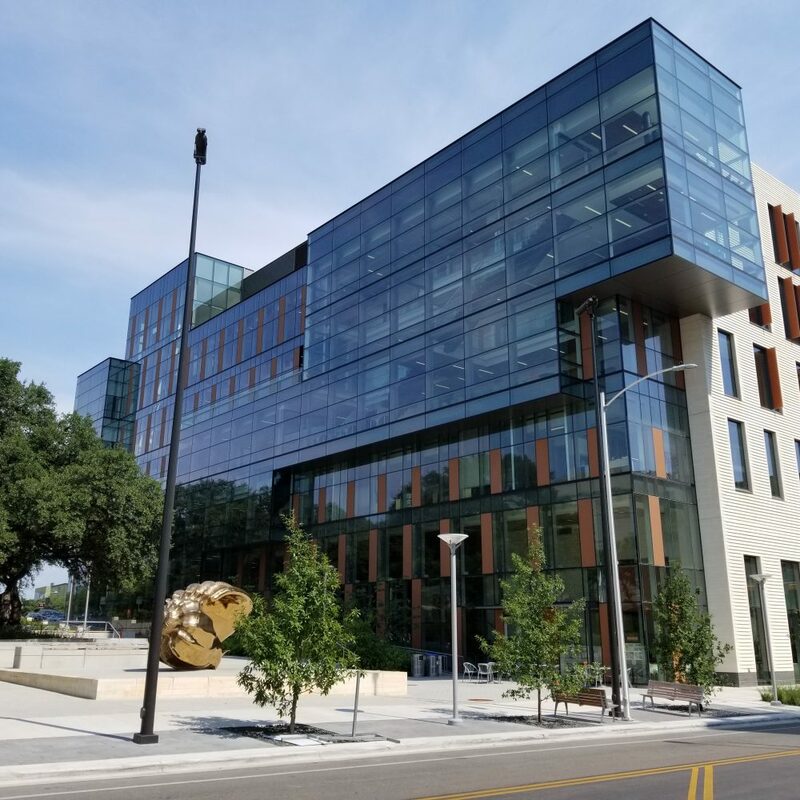 Zero/Six was contracted directly by The University of Texas System Office of Facilities Planning and Construction (OFPC) to be the Building Enclosure Commissioning (BECx) Authority for the project. Our team provided recommendations for remediation and review of work performed as it related to prevention of water intrusion issues, including recovery details. Zero/Six continues to review waterproofing, vapor retarders, air barriers, expansion joints, high density laminate exterior siding, exterior doors, aluminum entrances and storefronts, glazed aluminum windows, sheet metal flashing, roofing and joint sealants by performing weekly field observations, roof observations, and site visits during all building envelope activities. 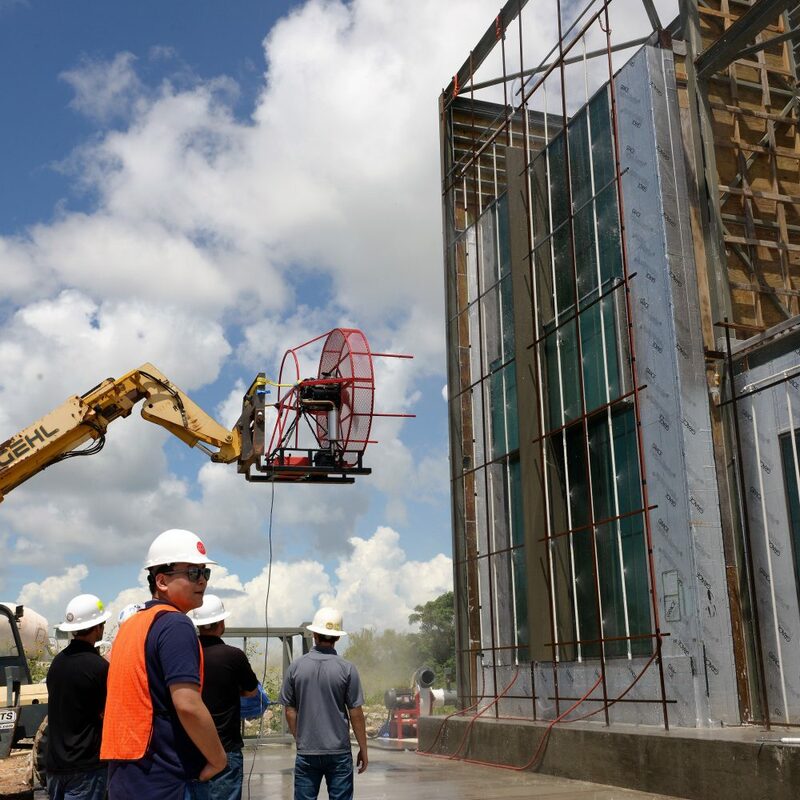 During construction, the Zero/Six and Z6 team tested (2) full-scale performance mock-ups that accurately, objectively and impartially reported on the integrity of building materials and the associated workmanship and installation methods to ensure the outside was kept out. 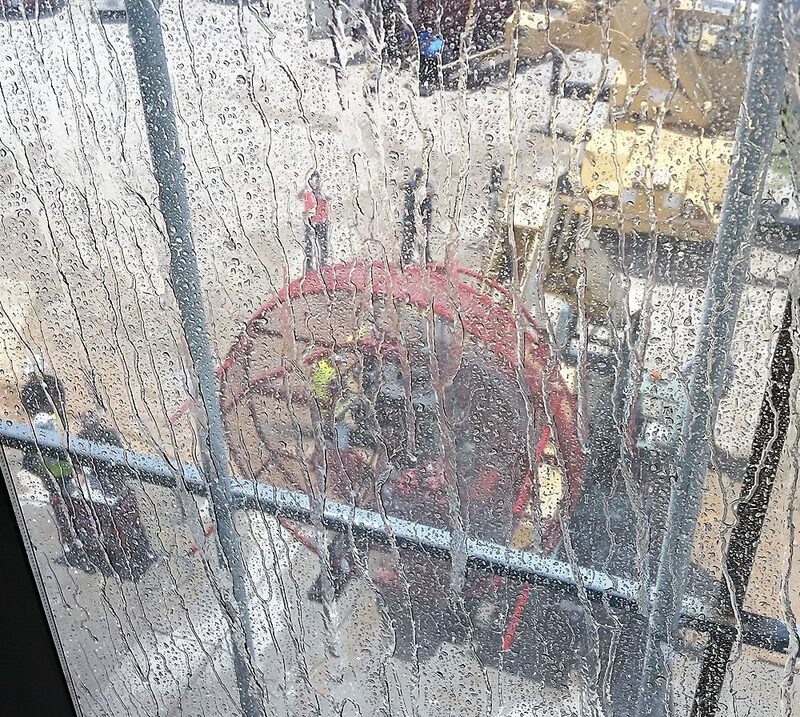 Additional testing included the use of dynamic pressure to measure deflection of glazed fins installed parallel to the face of the system. 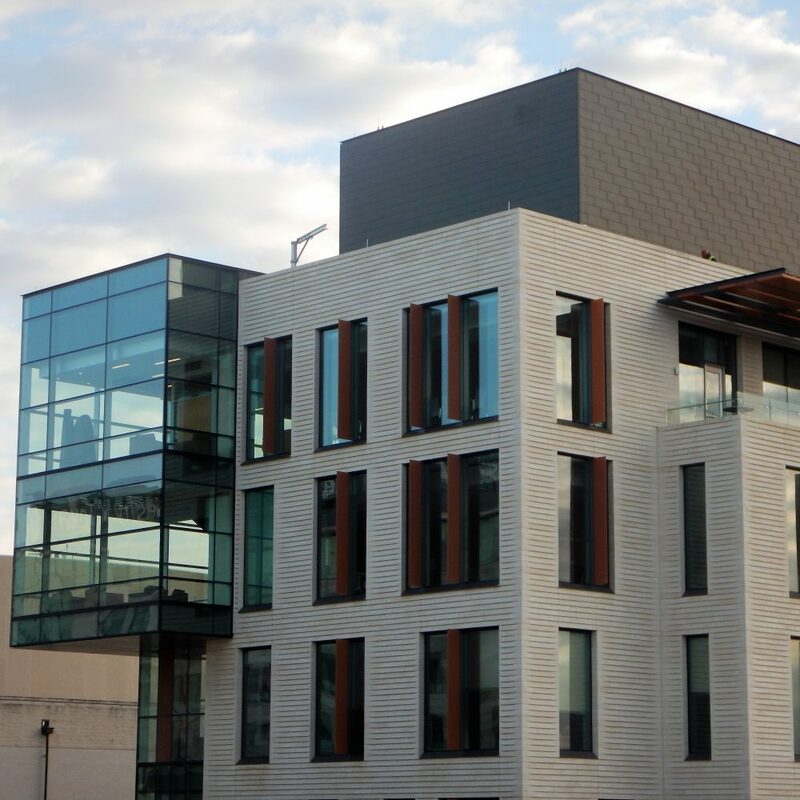 As the project nears completion, Zero/Six will perform all closeout services, including review of the system’s maintenance manual and issuing a final summary report related to building envelope commissioning activities.